I've been traveling pretty non-stop for the past 13-years. That means I've packed and unpacked at least a million times (or so it feels like it). Throughout the years, I've learned and created several packing hacks for traveling that have made life much easier and more organized which I'm sharing with you in this post. 27. Roll Pack Clothes Instead Of Folding Them. Instead of folding your clothes, roll them. Learning how to roll pack clothes saves you space instead of folding them and putting them on top of each other. Learning how to do the military roll is an even greater space saver and prevents wrinkles in your clothing. While this may seem like common sense, don’t over the nuances of learning how to roll pack clothes and really maximize your luggage space. Even if you're suitcase isn't fragile, mark it that way because the people who are handling your suitcase won't know either way. They'll see the sticker and hopefully be more careful with your belongings. Fingers crossed. Putting your jewellery in pill containers keeps everything organized and prevents you from losing your favourite pair of earrings. I can't tell you how many times I've lost only one earring out of a pair. Since using this packing hack to safely organize my jewellery, it hasn't happened as often. Sunglass cases aren't just suitable for sunglasses, they're awesome for storing your headphones and small cables. If you're worried about packing gels and liquids, get yourself some bar shampoo and conditioner. I'm obsessed with a company called Rocky Mountain Soap Co. 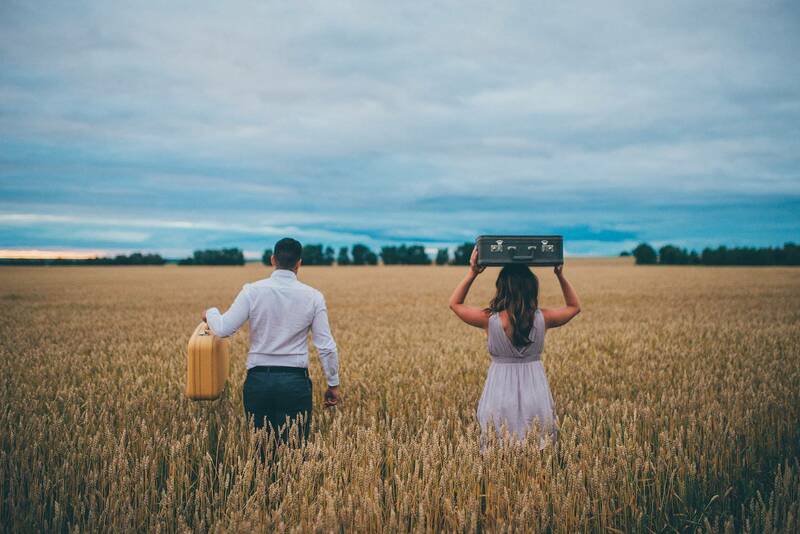 They're from Alberta and make incredible, natural products. I also love Lush products. They have really great shampoo, conditioner and body wash bars. 22. Fold Soap In A Wash Cloth. Although this may seem like common sense, this is one of the more often overlooked travel packing hacks. Folding your soap in a washcloth is less yucky than keeping it in one of those plastic containers or ziplock bags. Frozen sponges are a great way to keep your plane snacks cold. Not to mention, you'll get through security without an hassle. Just put the frozen sponge and your snack in a Ziploc bag together and you've got you're own portable freezer. Bring an oven mitt to store your curling iron or your hair straightener for the mornings that you have to pack up and leave super early. It will prevent your hair tools from burning something in your suitcase. Hair conditioner can be used for things other than your hair. It can be used a shoe polish, makeup remover or shaving cream. If you wear bras, stack 'em on top of each other. It saves space. When you're packing your suitcase, put all the heavy items near the wheels of the suitcase. That way when you zip up your suitcase and turn it upright, the heavy items aren't going to fall and crush other things. Anything breakables or items that can explode such as hairspray or shampoo bottles, put them in socks. That way if they do break or explode, it will happen in your socks and not all over your suitcase. I always bring a pillowcase with me, especially if I'm staying in hostels. It's nice to put my face on my own pillowcase at the end of the day. A pillow case is also great for laundry. If you decide that you're going to check your bag, make sure that you bring your toiletries, breakables, valuables, and a change of clothes in a carry-on bag that you're gonna bring with you on the plane. That way if your luggage does go missing, you still have your valuables with you and a change of clothes. Even though this travel packing hack can make you look like the Michelin Man, it's worth it. If you're going to a colder destination, wear as many items of clothing as possible on the flight. Wear your bulky jacket, winter boots, a couple of sweatshirts, tee-shirt and a long-sleeve shirt. Once you're on the plane, take off the multiple layers so you don't feel like you're in a sauna for the entire flight. Sarongs are multi-purpose. You can use one to cover up at a religious monument, temple or church. You can use one as a blanket if you're on an overnight bus or even as a beach towel. You can use one as a pillowcase and of course, a fashion accessory. The list goes on. An easy lifestyle decision that doubles as a travel packing hack are buying reversible clothing for your next trip. Packing one item that can be turned into multiple outfits is key to packing light without looking like you're wearing the same outfit every day. 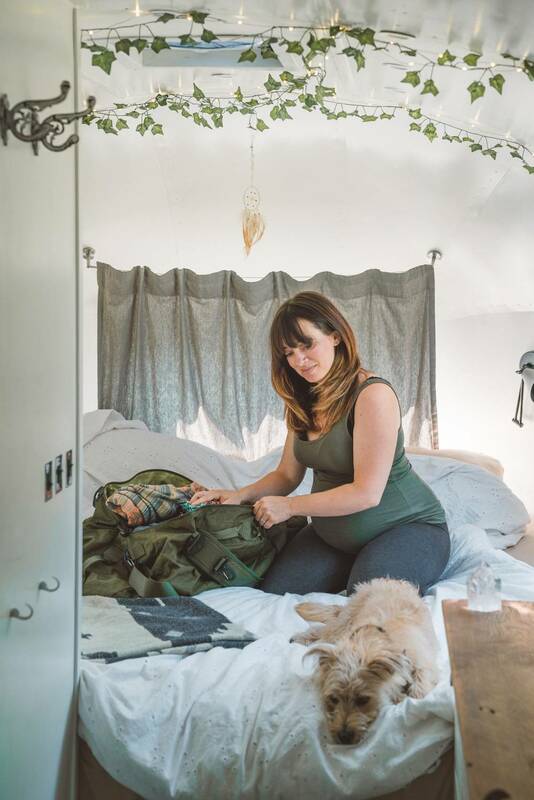 There's a clothing line called Encircled which sells awesome 5-in-1 travel clothing items that are high quality and affordable. I have a couple of items from their line and use them all the time. One shirt I own can be worn 8 different ways. If you've never tried packing cubes, you need to order them right now. They're life-changing! Not only do they keep your clothing organized, they allow you to pack more. I get in trouble by my husband Siya (not really, but really) because I've been notorious for carelessly stuffing cables into my carry-on. What I've learned is that if you actually wrap them up properly, then they take up a lot less room and you don't wreck them. Pack only what you need is my motto. To limit the amount of cables you are bringing, check to see how many of your electronics actually take the same cable. You might be surprised. Before using this packing hack, I would clump my necklaces together and shove them in a little zipper pouch. Then I'd spend hours trying to untangle them while on a trip (not the best use of time). This simple packing hack is quite genius. If you take your necklaces and string them through a straw, it keeps them nice and untangled. To keep your clothing and anything else in your suitcase from getting dirty, put the soles of your shoes in a shower cap. This may be my sneakiest and most favourite packing hack of all. Whenever I go to the mall, I stop in at Sephora and stack up on free samples. There's no catch. You can walk in and ask for a free sample of pretty much and of the products. I'm talking like a month worth of foundation in one sample. The samples are always under 100 ml, which means you can pack them in your carry-on with no issues. GoToobs are fantastic! They are 100 ml squishy plastic containers for your liquids. They are great if you just wanna pack a carry-on shampoo, conditioner body cream or sunscreen. What makes GoToobs better than other travel containers is the fact you can get out every last drop of liquid because of the material it's made from. Another way to prevent your liquids or your gels from busting all over your bag is by using plastic wrap. Unscrew the lids of each product, put some plastic wrap over the bottle, and then screw the lid back on. If it bursts, it's not going all over your clothing. Cotton swabs are great for many things, especially for cleaning ears, putting on and taking off makeup. If you have an old pill bottle, store them in there instead of taking an entire box of 300 with you. It's a great way to keep them clean, keep them organized and save space. Everyone I've shared this travel packing hack with says it's their favourite. If you're going international, and you're packing quite a few electronics, bring an adapter of course, but also bring a power bar. That way, you can plug six different items into your power bar and only have to bring the one international adapter. Being prepared for your travels can be one of the most important things to consider before you go. It’s easy to get swept up in the excitement of your next trip and save packing for the very last minute… With that said, we hope these packing hacks for traveling aid you before and wherever you go. 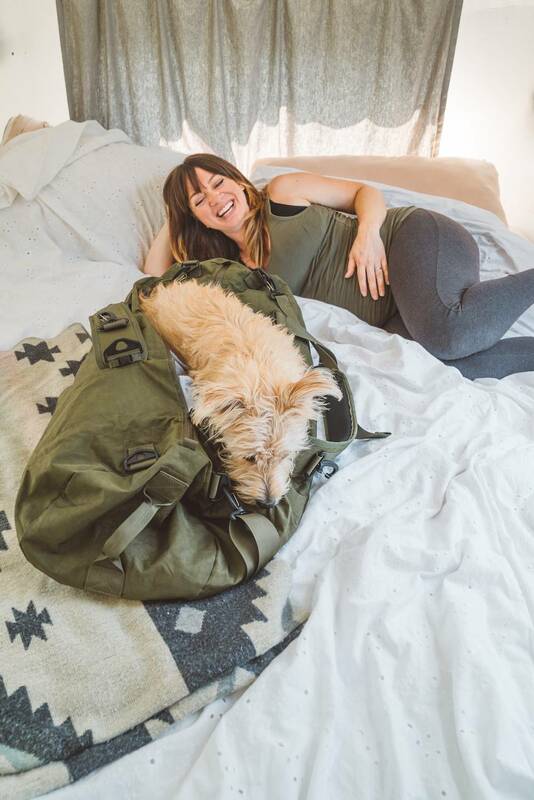 While it may seem obvious, things like learning how to roll your clothes for packing really goes a long way, so make sure to keep this list in mind before you embrace your next adventure! 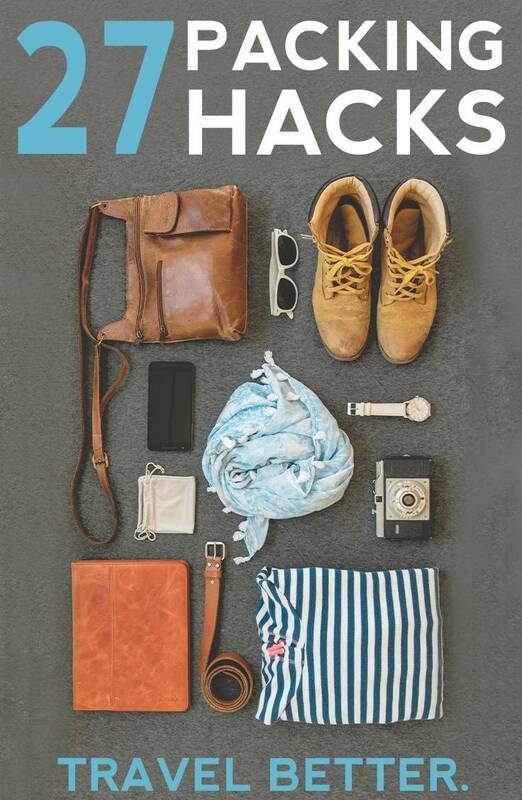 Share your favourite packing hack with us! Packing is not easy work. Your share the information about packing is really useful. I am happy with your blog info. Great information. Thanks! Cool. I am also a big travel nerd, and I thought I knew all the packing hacks already. Turns out I was wrong haha. Using a frozen sponge is an awesome tip! These are all great tips. I’ll definitely start rolling my clothes. Idk about the frozen sponge though! The tip about airport WiFi codes is a great one! This is the ultimate packing guide! I tend to over pack ALL THE TIME and my travel buddies often tease me because my bag is always bulky and I have to bring another backpack or a sack. This will really help me out the next time we go out of town. Thanks Kristen to uphold such important travel back pack hacks through this blog. Good suggestion with supporting pictures. I must share it with my tour mate friends. Keep sharing useful post like this. Thanks Tony! So glad you found it helpful. This is so resourceful. It will save me the stress of packing many luggage and bags. You have a great post and I’ve really learn from it. I kept putting my comment in someone’s computer but I got weird feedback. Three comments were rude. My tip was a good one I thought. It was about tooth brush holders. Different small jewelry or small earrings. It doesn’t slide around. Small tubes of carmax or lipstick. Mascara goes in a plastic toothbrush holder. Make-up carry cases can get so full. Seeing everything it separates things out. I thought I had mastered packing, however, I learned some new tips from your helpful post, thanks! Such a great suggestion. This Article is really very helpful and useful. What a great suggestion. This post is really very helpful and useful. You shared great information and tips with us. Loved this. Definitely bookmark this post. Thanks for this list, Kristen! This is just exactly what I need. I’m planning of an alone travel soon and i’m overthinking! And that includes of me wanting to bring everything just “to be sure”. HAHAHAHAHA. Interesting! I love how short yet detailed each hacks is, Kristen! Totally loving it. Also getting a FREE travel size products never did cross my mind and now that you have mentioned it, I will start getting those frees for my travels to Philippines, especially at Cebu where I can go whale shark watching and canyoning! Thanks a lot Kristen! By the way here’s the package I availed, in case you want to try it out too! I would LOVE to go whale sharking watching in Philippines. Philippines is at the top of my list of places I want to visit. Is that where you’re from? Here you mention a very useful article .its very interesting actually I almost use all the tips you gave and I must say it works a lot a save some space in my bags thank you. Hi KRISTEN. Great suggestions I love this. these hacks help me out a lot. Your item lists would be very helpful for the next trip. But one thing that I never lost is antibacterial-soaps as shown here http://www.womensedge.org/best-antibacterial-soaps/. In fact, I feel dirty and sweaty when I go out or go travelling, I do not like that feel so antibacterial-soaps is an essential in my bag pack. By the way. I love your list that support me a lot for carefulness. Thank a lot for great suggestion please keep sharing. I always avoided pieces of jewelry in my packing cause my necklaces always tangles together. Thanks to your tips, now I know how! I have a hard time packing that lightly for one person. Of course, I don’t pack for flying so it hasn’t been necessary. Still, I have a strong sense that I need to learn something from this! I hope these hacks help you out! They are ones I’ve learned over the years that make travel so much easier 🙂 One of my favourites is bringing a power bar.